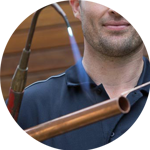 Looking for a plumber in Brixton? You’re in luck, the Handy Squad has got you covered and ready to give you a hand! 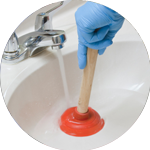 Our London plumber team has been around unblocking toilets, repairing taps, replacing dishwashers and installing waste disposal units since 2005, so you can rest assured that you will be in good hands. 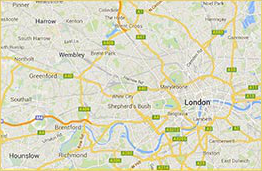 You can find us all over London in our trademark yellow scooters and vans, ready to help you with your plumbing needs! Why not give your local Brixton plumber a call? Brixton, the birthplace of David Bowie, is located in the heart of south London and divided by two postcodes: SW2 and SW9, sharing its postcode with Stockwell and parts of Clapham. Other neighbourhood areas include Streatham, Camberwell, Tulse Hill and Herne Hill. This mainly residential area, features some grand Victorian housing. Brixton is home to the Ritzy Cinema, Brixton Academy, Brixton Village and Britain’s first cultural centre dedicated to black heritage. During the summer, the Lambeth Country Show bring hundreds of people to Brixton and its bordering areas. 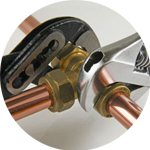 Our multi-skilled Plumber London team offers specialist plumbing services to homes and offices across Central London. 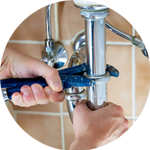 From unblocking toilets and sink repairs, from leaking tap repair to replacing radiators, we will resolve your plumbing problem. Our Handyman London team also offers moving services, jet washing, carpentry, decorating and much more.